The David Geffen School of Medicine at UCLA uses the AAMC Visiting Student Application Service (VSAS), to receive applications from US medical and osteopathic students. Please check out the 2019-2020 Academic Year for course descriptions and student coordinator contact information and reference our 4th year Calendar of Weeks to see the typical 3 week blocks for electives. 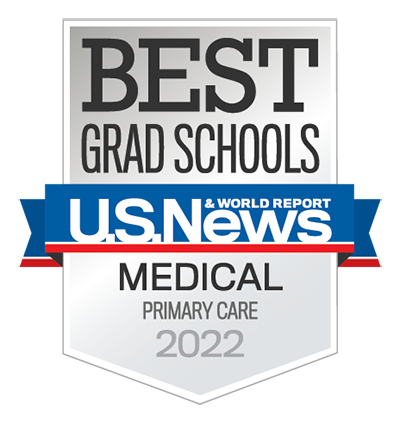 Applicants must be in good academic standing and actively progressing toward a Doctor of Medicine degree at an affiliated LCME-accredited institution, or a Doctor of Osteopathic Medicine degree at an affiliated COCA-accredited AACOM Member Institution. Our electives are open to fourth-year students only. We do not offer research electives or pre-clinical experiences. Update on VSAS opening date: We are still finalizing our 2019-2020 elective offerings, and our new VSAS opening date will be Tuesday, March 19th. We thank you for your patience and apologize for any inconvenience this may cause. Please do not submit more than 6 elective and/or date selection choices at a time through VSAS. Again, please only have a maximum number of 6 pending applications at one time. Additional applications submitted beyond the limit will be immediately rejected. Applications must be submitted in VSAS at least two months (60 days) prior to the start date of the elective. Scheduling decisions are made at the elective level. You will be notifed of the elective decision at least 60 days prior to your preferred start date. Valid Mask Fit Test - Required for all sites, but please note if you rotate through one of our LA County facilities (Harbor, OVH) you will need to use the N-95 Halyard/Kimberly-Clark mask and NOT 3M. AAMC Standard Immunization Form - Please note that UCLA requires TB clearance within a year of your proposed elective time frame. CV - Brief account of education, qualifications, publications, etc. Transcripts - Official copy of medical school transcript indicating successful completion of core clinical clerkships must be uploaded by your home school. Letter of Recommendation - A letter of recommendation is required for all electives. This letter should be from a clinical faculty member and should speak to your clinical abilities but does not have to be from the department in which you are applying, unless otherwise stated. If you have waived your rights to view your letter, your home institution can upload this document to your VSAS profile, and then you can assign it to your application(s). Proof of Personal Health Insurance - You are required to submit evidence of personal health insurance (hospitalization and major medical care) during the time of the proposed clerkship. Health insurance for visitors is mandatory prior to enrollment but is NOT offered through the school. Proof may be supplied in the form of a photocopy of your health insurance ID card or a letter from the insurance carrier. HIPAA Privacy & Information Security Training - All applicants must show compliance by uploading the certificate of completion at the conclusion of the UCLA HIPAA Privacy and Information Security Training for New Workforce Members. To obtain the certificate, go to http://hr.uclahealth.org/body.cfm?id=195. You must watch a short video, review the slides, read the policies, take the quiz, and print out the certificate that will appear upon successful completion of the module. The UCLA module must be completed by all visiting students regardless of training done at one's home school. Fill out the DGSOM PHOTO ID Application. Enter all the requested information directly into the form before signing. Leave "ID Number" blank if you have not previously had a UCLA ID#. "Appointment End Date" will be completed by the UCLA Student Affairs Office and should also be left blank. After approval for an elective, you will be required to submit a photo online to Bruincard. Instructions will be sent when you have been approved and assigned a University ID Number. For access to computerized patient information systems, please upload the following form with your VSAS application. Please upload a copy of your USMLE Step 1/COMLEX-USA score report. On the same day you accept your offer in VSAS, you must submit a non-refundable payment of $300/elective electronically. Please follow the link directly in your VSAS offer or access the website here: https://www.medstudent.ucla.edu/applications/externs/creditcard5.asp. DO NOT CLOSE YOUR WEB BROWSER until the Payment Confirmation Number appears on the screen. Although the David Geffen School of Medicine at UCLA does not provide housing, we encourage you to check out the Rotating Room site to see what options are available to you near your site location. We only provide UCLA evaluations for visiting students. The student coordinator of your elective is responsible for emailing you a copy of your student performance evaluation. Upon request, this will be submitted directly to the student's home school after the completion of the elective. All visiting students will be required to complete a brief evaluation of elective clerkships and sub-internships and on teaching faculty. Students will receive an e-mail with evaluation instructions and links to the computerized UCLA evaluation system which protects student anonymity. Disclaimer: The David Geffen School of Medicine at UCLA is not responsible for determining whether, or in what way, the UCLA elective is to be credited toward the requirements of the home medical school, including credit toward graduation of the student at the home medical school.